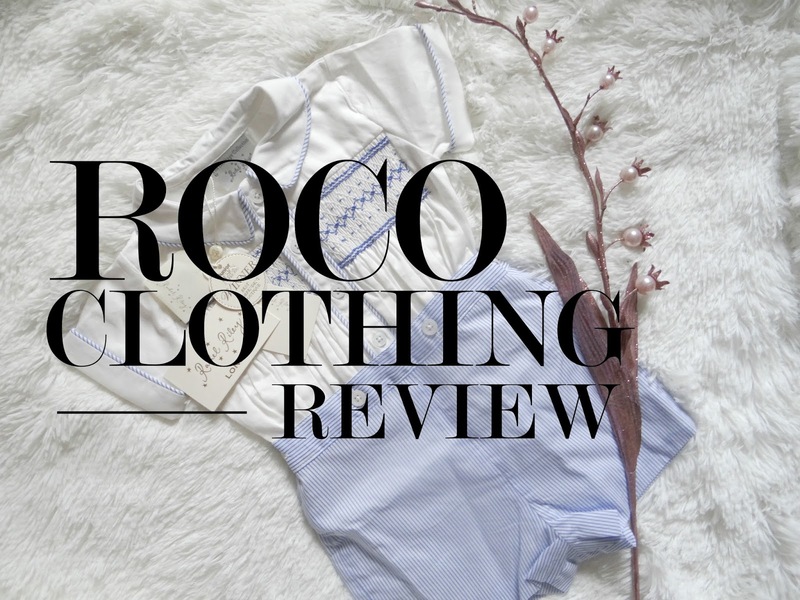 We were given a chance to review an item from Roco Clothing a few weeks ago, and it was the perfect chance to choose a christening outfit for Freddie's Christening next February. We decided to go for the 6-9 months romper as he is quite a big boy for his age. Roco Clothing offers a great range of formal clothing and accessories for women, men, children and babies. There is a range of suits, rompers, prom dresses, shoes and more. Their clothing is perfect for weddings, christenings and any other formal occasion. 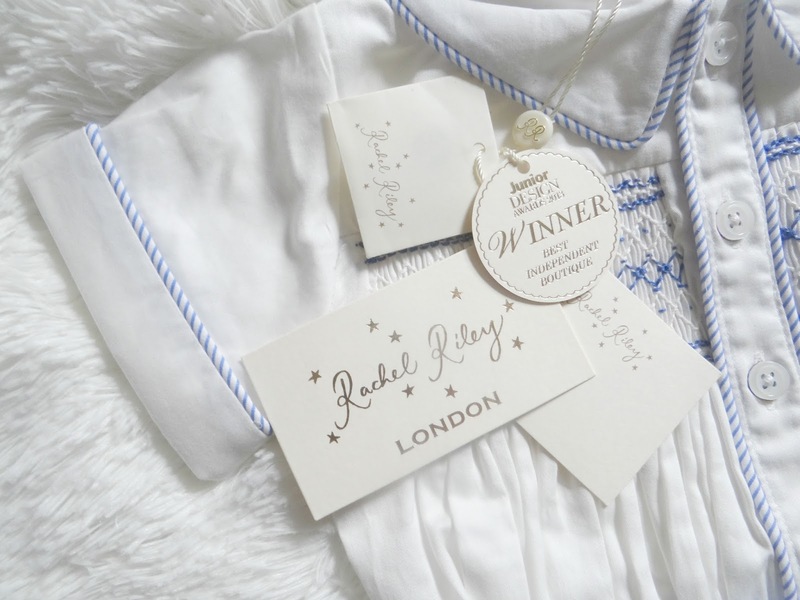 I decided on the 'Baby boys ivory & baby blue shortie by Rachel Riley' romper. 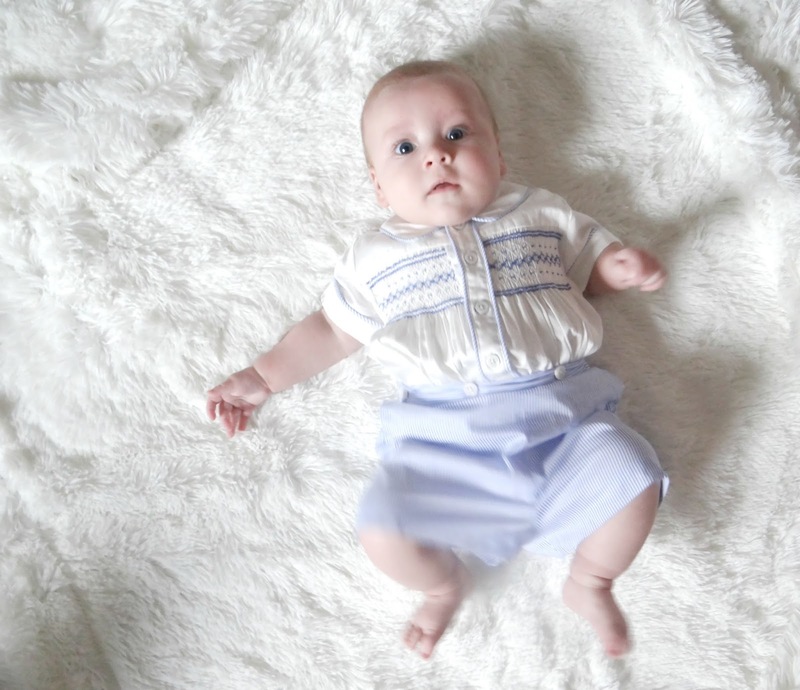 This gorgeous christening suit has a beautifully embroidered shirt with striped baby blue sailor shorts. 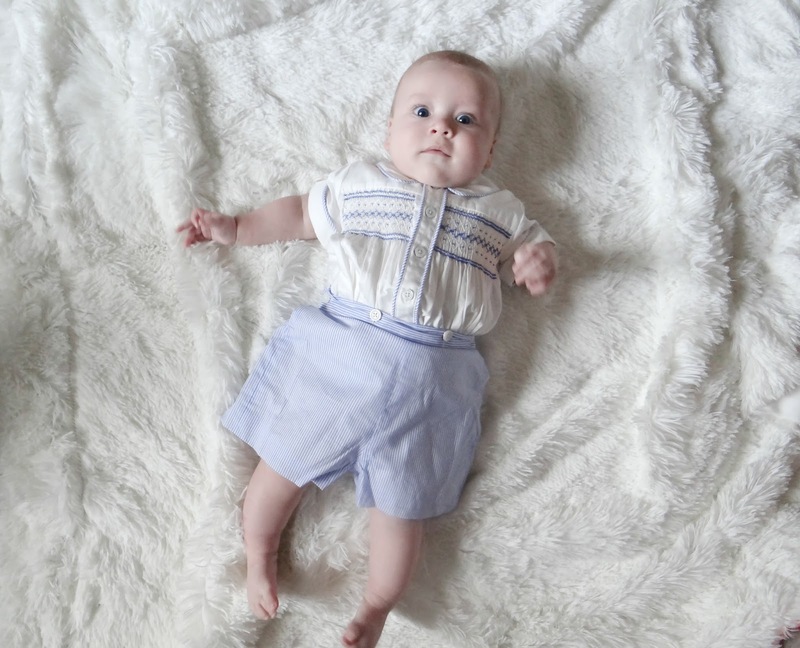 The shorts are attached to the shirt by a few buttons around the waist, which is handy for nappy changing. The suit is a thin material but also good quality. The style of this outfit is perfect for any formal occasion such as a christening. Overall: I am pleased with this item. Roco Clothing has a stunning range of clothing for all ages. I can't wait for Freddie to wear this outfit on his Christening day, next year. Keep an eye out for the post mid-February. * I was sent this item free of charge, in return for an honest review.